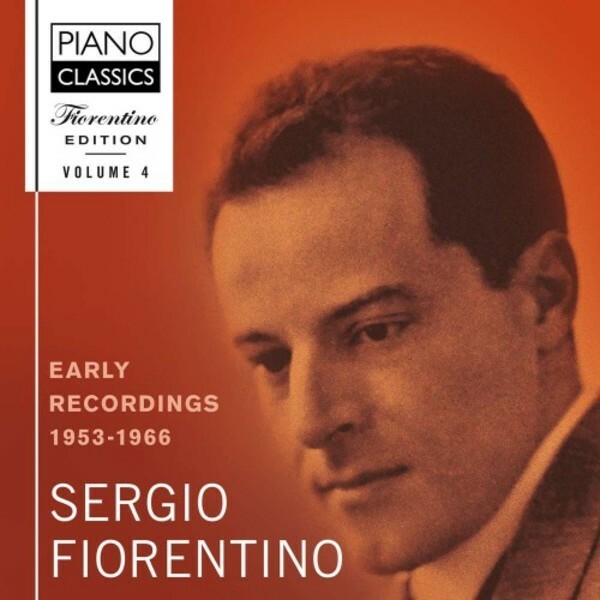 This is the fourth and last issue of the Piano Classics Fiorentino Edition, presenting the early recordings made between 1953 and 1966. Sergio Fiorentino (1927‐1998) was one of the greatest pianists of the 20th century, but remained largely unknown to the general public. His recordings show a stupendous virtuosity and command, and the natural understanding of an innate musical genius. Not for nothing did Arturo Benedetti Michelangeli call him �The only other pianist�. This 10‐CD set offers a wealth of repertoire, from magnificent Bach, barnstorming Beethoven, elegant and passionate Chopin, fantastic Schumann, robust Brahms and red‐hot Rachmaninov. The recordings were originally issued on the �Concert Artist� label . Sadly several of the master tapes have been lost, and the remastering of this set has been done with original LPs. Nevertheless the artistry of this wonderful pianist shines through every note!